Everyone has an opinion about biscuits. Just as it seems everyone has a favorite restaurant/mom/grandma that makes the BEST biscuits in the world. Is this a subjective assessment? Can a search for the perfect food ever be objective? If I didn’t have so many holidays to celebrate this month, I might devote the whole month to a search for the perfect biscuit. If you need someone for this kind of quest, I am your girl. 100%. I would try every biscuit in a 100 mile radius and bake every biscuit recipe I could find, far past the point that people are willing to eat them. I like to think of myself as thorough but others have used the word obsessive. Either way, my brother-in-law is not so silently thanking God that I don’t have a month to inundate them with biscuits and my sister keeps saying “I’m just trying to accept that I’ll gain weight this month.” Meanwhile, I have become a Jillian Michaels devotee; so, let’s see if shredding and running and yoga can keep pace with the baking. Ok, back to task. Biscuits. 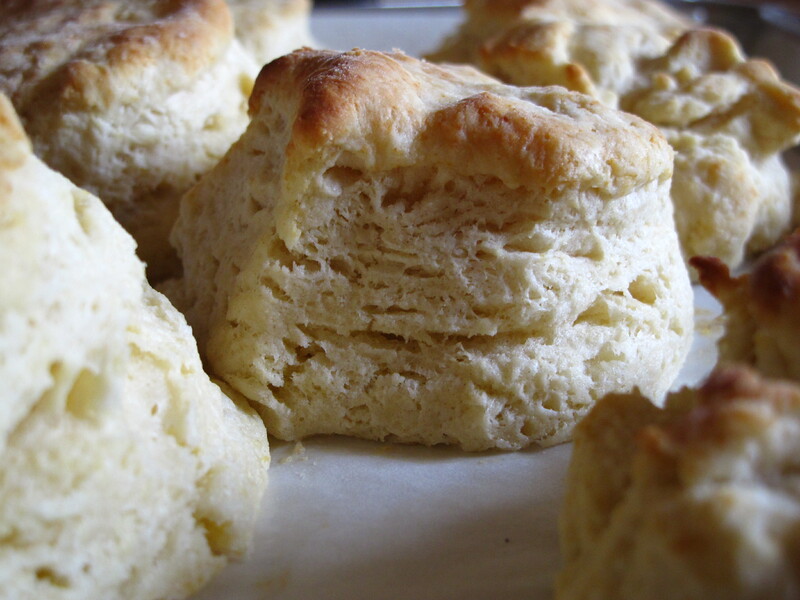 It’s National Buttermilk Biscuit Day. Did I mention that? Probably not, because for a minute there I lost myself in the fantasy of having a legitimate reason to eat biscuits for a month. I remember reading about Julia Childs perfecting her mayonnaise recipe and throwing away gallons of mayonnaise as she made batch after batch, tweaking the ingredients and the technique. Her willingness to make things and NOT eat them is probably why she lived into her 90’s whereas in her place I’d die within a year of clogged arteries and an inability to get off my couch. I know this because I probably gained 5lb today and we only made 2 batches of biscuits. 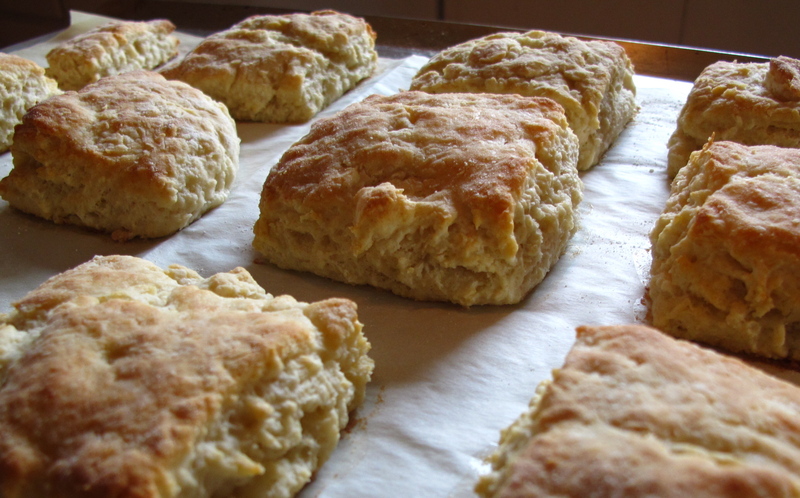 My sister and I pitted the north against the south, testing baking powder biscuits against buttermilk biscuits. There are a zillion recipes and trying to pick the best one makes my head hurt. So, we started with a known quantity in our friend Sarah’s baking powder biscuit recipe because we’ve both made and eaten these biscuits on several occasions and they are spectacular. 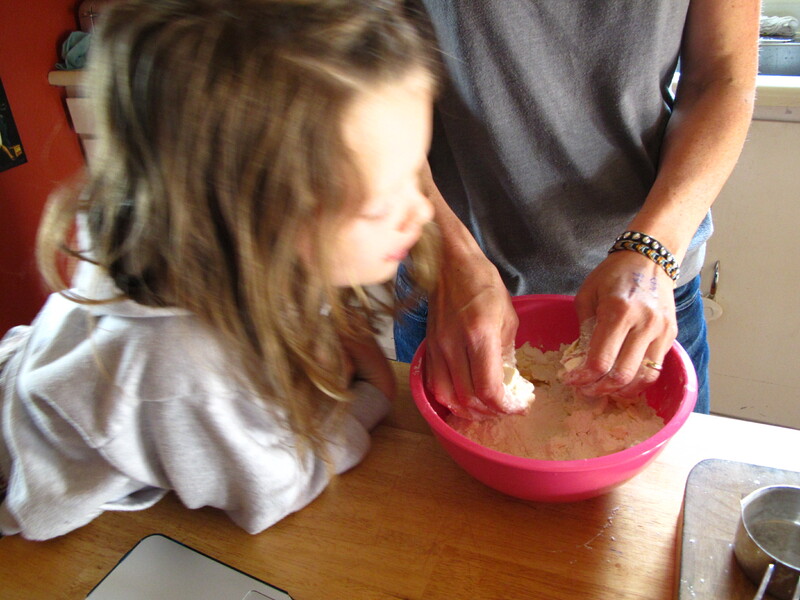 Sarah has a blog here and every recipe I’ve tried is excellent. Unlike me, Sarah has an ability to read a recipe and know whether it’s worth her time and then she adds and subtracts until it’s perfect. Don’t you just want to slather butter on it and then chase it with about 6 more? Me too. We polished off the majority of that pan, the kids ate dinner and then I made the second batch of biscuits. You know, for science. No other reason. Not because they are delicious and we have a biscuit problem. Not that at all. Really. The accompanying Georgian pork stew can be found on Epicurious here. It’s incredible. Just don’t trim all the fat off the pork or it gets too dry. 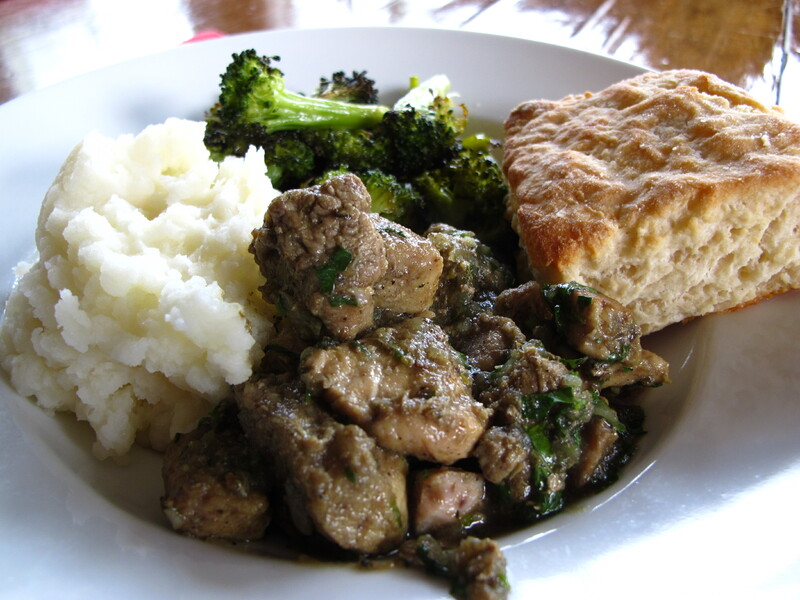 We made mashed potatoes but you could just have biscuits and stew and be happy. In fact, you should. Go make the stew with Sarah’s biscuits for one group of friends and then have a whole different group over the next morning and make the Southern Living biscuits with sausage gravy. Overnight you’ll gain a reputation for biscuit excellence and there’s nothing better than feeding good food to people you love. I’m not sure why you’re still reading this when you have a whole day to enjoy biscuits. Call your friends and get started! This entry was posted in A Month of Holidays, Baking and Cooking, Bellingham, WA, National Buttermilk Biscuit Day, The Shred and tagged ate WAY too many biscuits, Georgian pork stew, I need to do something besides cook this weekend, Jillian Michaels, National Buttermilk Biscuit Day, Sarah's Biscuits, Southern Living Buttermilk Biscuits, The Shred. Bookmark the permalink. ← Is Friday the 13th a holiday? I like biscuits. And biscuits like me. Seriously, I can give you an address. I’ll be in akron, oh from monday till thursday. All leftover biscuits, brownies, pies, and other “overflow experiments” can be sent there. I’m so bloody hungry right now. I have cookies from a recipe originally given to me by Corey Polish and originally made for us by his mom and delivered to our bus during Producer days. you should come over. i woke up stuffed from biscuits…then had a fried egg over a toasted biscuit. what is wrong with me??? the same thing that’s wrong with me. Let’s shake our fists at genetics together! 1. They all look awesome! 2. With Evernote, I was able to save Sarah’s biscuit recipe to my notes collection with one click thanks to the handy Safari plug-in (given your many projects and writing activity spectrum, you will become an Evernote devotee once you try it). 3. I thought *I* defined flaky. 4. Warm biscuits with butter and jam are one of the great gifts of the universe, and one I (thankfully) mostly forget about. 1. your friends define “flaky.” you, not as much. 2. I already downloaded 4 apps for my iphone. I think I’ve hit my limit for the week. Talk to me in a couple days about Evernote. 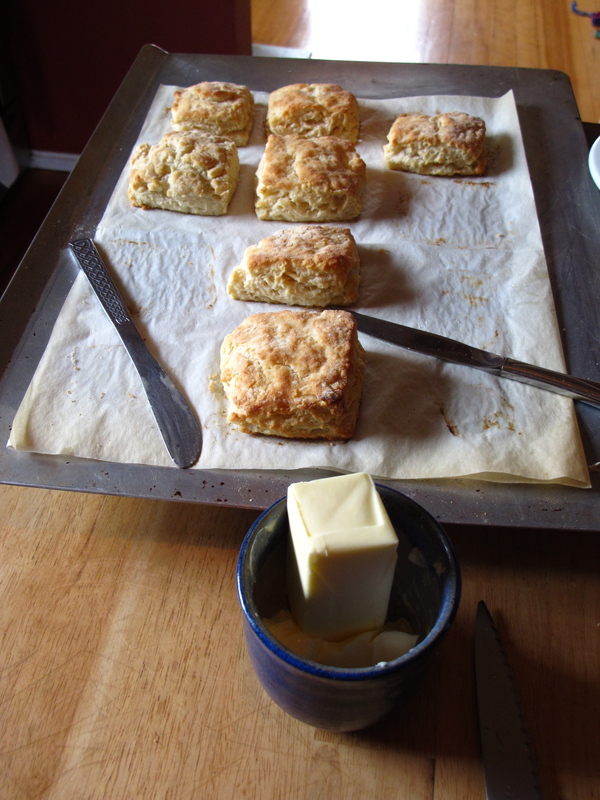 3. try Sarah’s biscuits. you will love them. 4. I ate a biscuit for breakfast and I made cookies tonight. Dear! God! ect more recipes for the biscuit bake off.